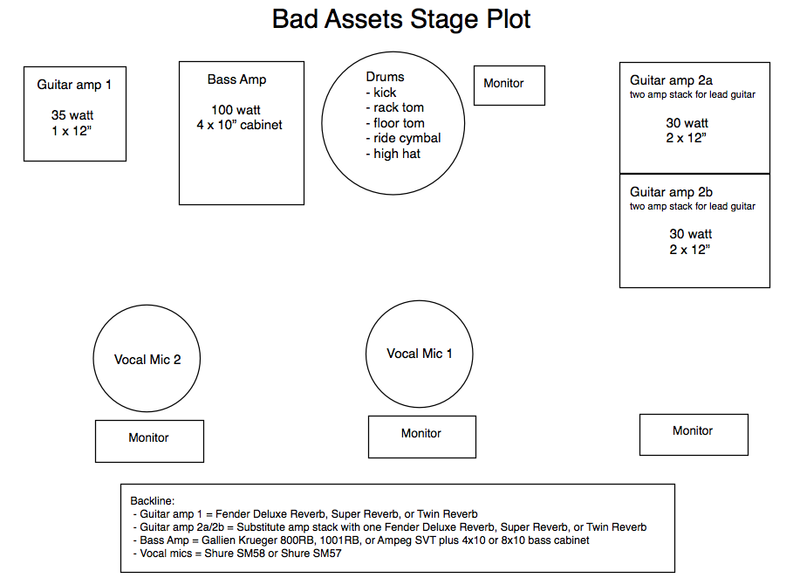 Come along as Bad Assets take you on a musical road trip through the ghost towns and back roads of Oregon. 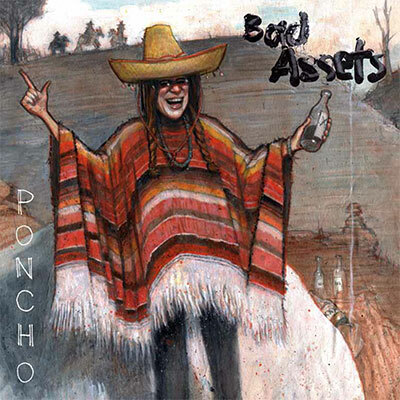 Bad Assets are a whiskey-soaked country rock band from Portland, Oregon. Some years back Motor Jeffries, the bands primary song-maker-upper, had a vision to write a collection of songs about the drive through Oregon on Interstate 84. After a few years, some different bands, empty whiskey bottles and a helluvalot of beer, Bad Assets are proud to say we did it. The road trip takes you all the way from Stumptown across the state line towards the billowing smoke stacks of potato processing plants. Stopping by a bottom shelf liquor distillery, a washed out waterfall, rodeo country and even an abandoned cement factory along the way. Buckle up and turn it up loud, son. You can buy our merchandise from these fine purveyors. Come pick up our new album Poncho at our record release party. 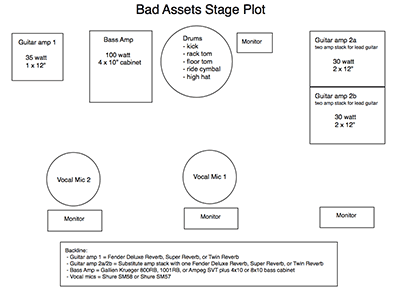 Bad Assets are perfect for any event: Backyard BBQs, trade show stages, the most lowdown honkytonks, the "world's classiest" truck stops...we'll be there for you!